Mr. Reitze focuses on complex air issues and litigation, including greenhouse gas regulation and regulation of utilities. He has extensive experience with the Clean Air Act, as well as the Clean Water Act, the Resource Conservation & Recovery Act, the Comprehensive Environmental Response, Compensation and Liability Act, and the National Environmental Protection Act. His air pollution counseling includes almost every aspect of stationary source air pollution control. He has represented industry on a myriad of mobile source issues, including motor vehicle emissions standards, climate change issues, low emission vehicle requirements, emissions taxation, stage II vapor recovery requirements, fuel efficiency standards, gray market vehicle importation and reformulated fuels. Mr. Reitze has also served as an expert witness on the impact of environmental laws on hydroelectric permit applications, the jurisdictional reach of the Clean Air Act and federal preemption issues under Clean Air Act Title II. Notable among his many accomplishments is his representation of the automobile industry in the U.S. Supreme Court cases Massachusetts v. EPA (2007) and Engine Manufacturers Assn. v. South Coast Air Quality Management District (2003). Mr. Reitze is a member of the Utah State Air Quality Board. He served as a consultant to the Environmental Protection Agency, the Department of Defense, the National Institute of Occupational Health and Safety, the U.S. Army Corps of Engineers, and the Transportation Research Board. He was a member of the National Academy of Science’s Committee on Demilitarizing Chemical Munitions and Agents from 1983 – 1984. Mr. Reitze co-authored the Cleveland Air Pollution Code (1969). Mr. Reitze is the J.B. and Maurice C. Shapiro Professor Emeritus of Law of the George Washington University School of Law and was the director of the LL.M. 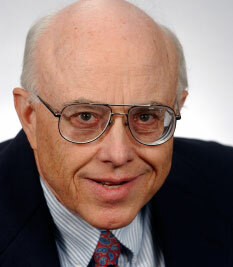 program in environmental law from 1970 – 2008 where he was the faculty editor of the ABA’s Environmental Lawyer from 1994 – 2003. Mr. Reitze is a professor of law at the University of Utah’s Law School and is a member of the Institute for Clean and Secure Energy. He is the author of three books on environmental law and four books on air pollution, as well as nearly, one hundred publications on environmental law. Air Pollution Control and Climate Change Mitigation Law, Envtl. L. Inst. (2010). The Law of Air Pollution: Compliance & Enforcement, Envtl. L. Inst. (2001). 1997 Supplement to Air Pollution Law, Michie Company (1997). Air Pollution Law, Michie Company (1995). Environmental Planning: Law of Land & Resources (1974). Supplement to Environmental Law (1973). Environmental Law,first and second ed. (1972). EPA’s Fine Particulate Air Pollution Control Program (pending). Utah’s Fine Particulate Air Pollution Problem, 2014 Utah L. Rev. Online (pending). The International Law of Air Pollution and Climate Change, International Law: A Practioner’s Guide to the Laws of the Planet (ABA pending 2014). Federal Control of Air Emissions From New Heavy-Duty Road Vehicles, 44 Envtl. L. Rep. (ELI) 10216 (Mar. 2014). King Coal, R.I.P., 30 The Environmental Forum 24 (May 2013). Air Quality Regulation Basics, Air Quality Issues Affecting Oil, Gas, and Mining Development in the West (Rocky Mtn. Min. L. Inst. Feb. 28, 2013). Regulating Air Pollution and Greenhouse Gases Using International Law (2012) available on SSRN. Federal Regulation of Coal-Fired Electric Power Plants to Reduce Greenhouse Gas Emissions, 32 Utah Envtl. L. Rev. 391 (2012). Carbon Capture and Storage Program’s NEPA Compliance, 42 Envtl. L. Rep. (ELI) 10853 (Sept. 2012). EPA’s Proposed New Source Performance Standards to Control Greenhouse Gas Emissions From Electric Utility Generating Units, 42 Envtl. L. Rep. (ELI) 10606 (July 2012). The Role of NEPA in Fossil Fuel Resource Development and Use in the Western United States, 39 Bos. Col. Envtl. Aff. L. Rev. 283 (2012). Bad News, Good News,29 The Environmental Forum 30 (March/April 2012). Johns Hopkins University (environmental health science), 1986. Rutgers University School of Law, 1962. Fairleigh Dickinson Univ., 1960, Adjunct Instructor of History, 1961-1962. Northern Virginia Community College (Automotive Technology), 1977. Industry (N.I.A.S.E.) Certified Mechanic, 1980. Adjunct Instructor of automotive emissions control 1980-1981. Northern Virginia Community College (Automotive Machinist), 1977.